The intensity of the orange colour is not easily captured in the photos - This product is very bright / extremely visible! 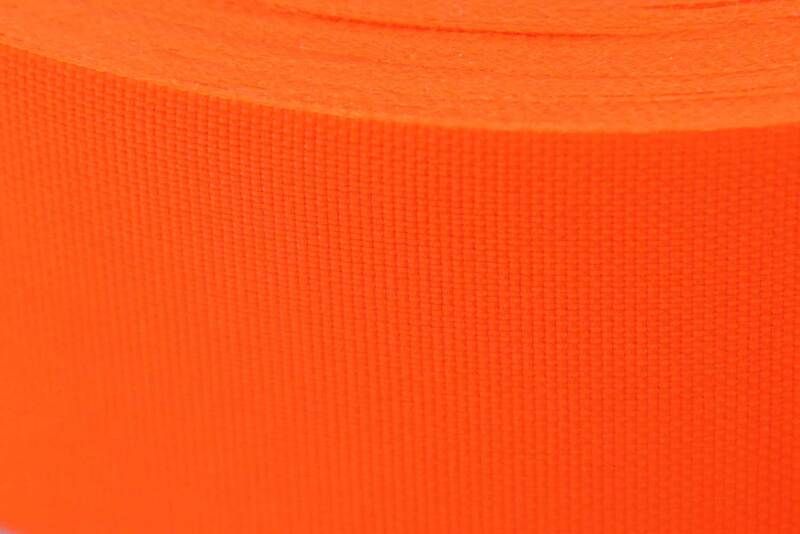 This high visibility orange safety tape is made from a hybrid fabric, making it very difficult to tear and stretch. 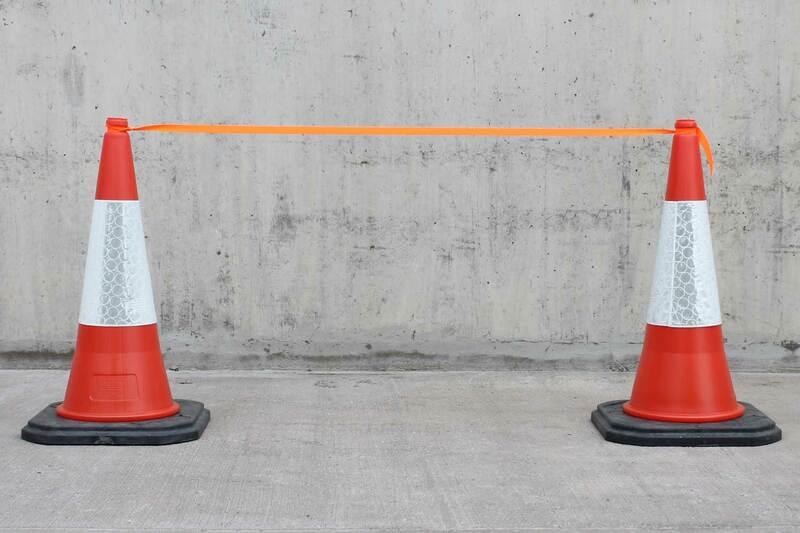 Unlike standard barrier tape it won't stretch in strong winds - ideal for those applications where it will be used over longer periods of time. Designed to be tied from one point to another point. Fabric / cross weave construction. Long life - suitable for longer term applications vs standard barrier tape. This tape is ideally suited to any application where marking out of a boundary is required. Commonly tied between road or traffic cones to visibly mark out areas. Can be tied from pedestrian barrier to barrier where there is a gap. Often used across open garage doors at garages. Perfect for marking temporary pedestrian walkways. Used all over the country on roadworks, it has been tried and tested. Unlike plastic film tapes, this tape is highly stretch resistant. It's Day-Glo colour is hard to miss! Fabglo tape has a weaved construction. This makes it very tough and suitable for a wide variety of applications.